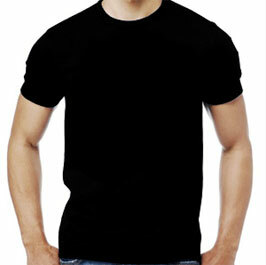 Join the thousands of people who have customized memorable light up t-shirts for their company, events, and more. First, fill out the custom order form below with your specific information. Upload your design image or logo onto the form directly and send it over. Once we receive your image, our expert design team will create a free animated mock up to show how your shirt will look like when lighting up. You should expect to receive an e-mail with an animated .gif within 24-48 hours of submitting your design. Our representatives will work hand-in-hand with you to make any changes you want to the design, including how it animates. We will do everything in our power to create the exact product you are looking for. Once you confirm the design we will send over an invoice for you to place the order. How Many Posters Are You Interested In? Sound activated The design lights up in response to sound. There is an on/off switch and you can adjust the sensitivity of the battery pack. This is great for music events or concerts or anywhere there is constant noise. Sewn on shirts are hand wash only but tends to look more professional. If you do not see your deadline date on the calendar it means we cannot make your deadline. None of Flashion Statement, LLC products should be used to harm yourself or others. As recognized, any type of contact to the electronic circuits may cause serious harm. Keep the products far from young children. Flashing products may trigger epilepsy. Our products are not intended for children under 5 years old. Flashion Statement, LLC is not responsible for damage as a result of negligence and misusage of the product. Factory production time for Flashion Statement custom products is generally 3-4 weeks from date of order depending upon the material, this does not include shipping time. We do have rush options available at an additional cost. If you have a deadline we will do everything in our power to get your order to you as soon as possible. We cannot guarantee rush order dates and we will not refund you for missed deadlines. We accept all payments through Paypal and Stripe. In order to process your order, full payment is due upon confirmation. All products are automatically ground shipped by FedEx or UPS. Overnight shipping is available upon request. For custom orders: Your order will ship 15 business days from payment, but can vary based on order quantity. If the item(s) you have received are damaged or defective, please contact us as soon as possible. Damage must be reported to us within 5 days of receiving the order. If contacted in time, Flashion Statement will either replace the defective product or refund the price of the product. Original shipping charges and set up fees are non-refundable. We charge a 15% restocking fee on all returns. Please note: We may ask for the item(s) in question to be sent back for inspection. You must send the product in question back within 5 days of contacting us about a return in order to receive a full refund. The final decision to replace or refund the product will be made with consideration of the customer’s request. If the product your received is not the product you ordered, please contact us as soon as possible. If you fail to notify our company within 5 days of receiving the product, our store will not be able to refund or replace your order. Please note that Flashion Statement custom products are manufactured based on your specific requirements and CANNOT be returned or refunded for any other reason beyond defective products. Flashion Statement may ask for pictures of the defective products or require the customer to send the product in question back. We are not responsible for damage during shipment. Flashion Statement strives to deliver the best possible customer service to our customers. If you have any questions or concerns regarding shipping, returns, or products, please contact us through email at sales@flashionstatement.com or through our contact page. Production on new custom orders routinely begins with 24 hours of receipt of your payment and confirmation. In the event you need to change or cancel your order, we will make every effort to accommodate your request. However, an order may not be cancelled or changed if it is already in production. We encourage you to contact us immediately if you need to change or cancel an order. Our email is sales@flashionstatement.com and our telephone number is 855-52-FLASH (855-523-5274). Additionally please note that our website contains numerous trademarks which can belong both to our company and third party companies. Using the logos, icons and service names is prohibited in any manner that is likely to cause confusion among our customers, and will be considered a violation of copyright law. We reserve the right to make changes to these terms and conditions at any time without prior notifications. Our company is located in Rhode Island, USA and the laws of the state of Rhode Island shall govern any interpretation of these terms and conditions.